Centifolia Organic Orange Blossom Floral Water softens, soothes, purifies and restores radiance of your tired complexion ! Known for its softening, soothing and refreshing properties, its soft fragrance gives you a real feeling of relaxation ! This organic hydrolat cleanses the traces of your make-up. With Centifolia Orange Blossom Floral Water Spray, your skin is moisturized and soft! 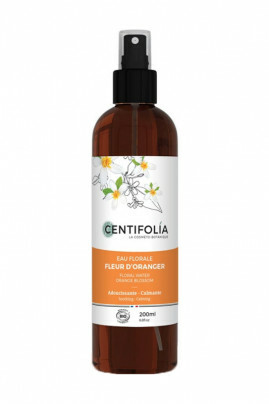 The CENTIFOLIA organic Orange Blossom Floral Water tones up tired skin !